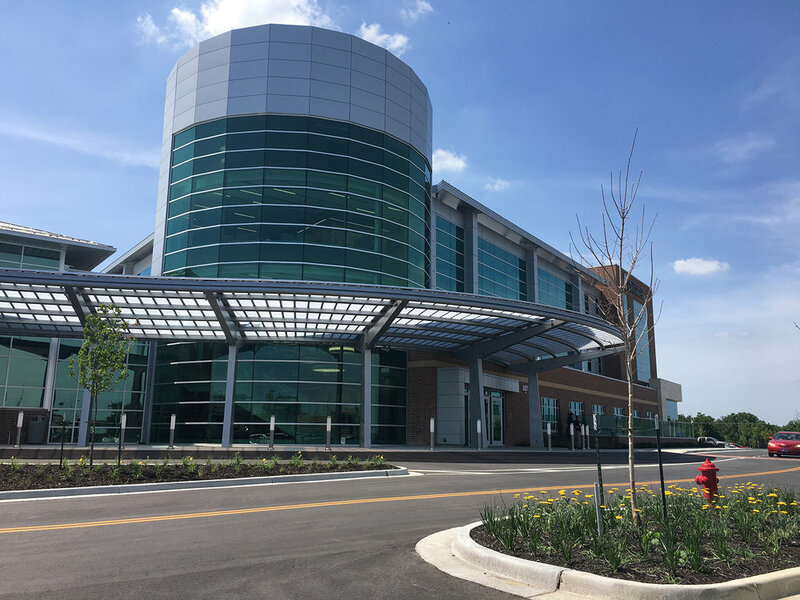 The University of Kansas, one of the largest health care providers in the Kansas City Metro Area, invited Vireo and a team of local architects to design this leading healthcare provider’s newest campus facility. The Overland Park facility will provide state of the art technology and will soon accommodate professionals and patients across our metro and beyond. The campus blends new designs with existing adjacent medical buildings by seamlessly featuring new outdoor seating arrangements and modern lighting within existing open spaces between buildings. 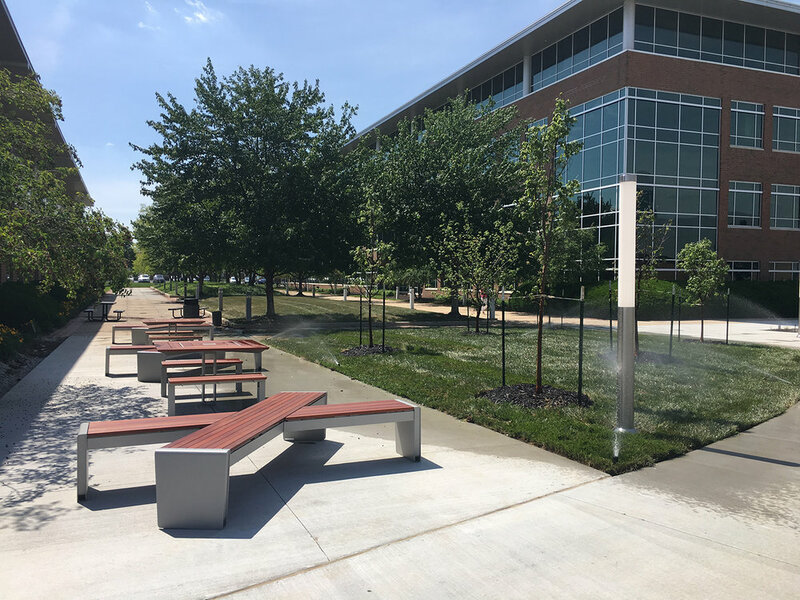 A larger retention pond was designed to welcome people to the campus and provide a semi-distant pedestrian amenity away from the hospital with picnic seating, for people wanting to go for a stroll and explore the outdoors, while staying on campus.